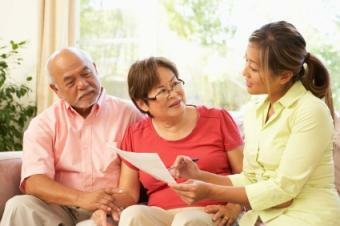 Are you having a hard time finding caregivers? Are you looking for nursing homes? Do you need a geriatric care consultation? Geriatric care consultants can help you find the services you need in the community. Learn how to find the right geriatric care consultant and when it is time to seek services. What Is a Geriatric Care Consultant? Geriatric consultants are professionals who provide seniors and their families with assistance in finding appropriate resources in the community to address needs related to aging and physical disabilities. These consultants come from a variety of educational backgrounds, including nursing, gerontology, psychology, and social work. Typically, they have advanced education or a combination of education and experience that provides them with insight into the needs of seniors. Geriatric consultants also have extensive knowledge of both community and private resources. Because of the nature of their knowledge and services, these consultants may also be called upon to assist younger adults who have physical or mental disabilities. Geriatric care consultants can be private service providers or they can be employees of senior centers, senior advocacy organizations, hospitals, nursing homes, and other institutions that provide services to the elderly. When Is a Geriatric Consultant Needed? When a senior or family member realizes that the senior has developed physical or mental limitations that make it difficult for the senior to function independently, it may be time for a consultation with a specialist. Because services are provided by so many organizations, both public and private, it is hard for an individual to identify the best and most appropriate service providers. Medical care, insurance coverage, and associated services are so complex today that a consultant's expertise can save time and money, as well as stress on the senior and the extended family. Because of specialized knowledge and experience within a specific community, the geriatric consultant can quickly direct seniors to the most appropriate resources. For example, if the senior's memory is declining, the consultant can provide the names and contact information organizations that provide medical and psychological support for seniors with Alzheimer's disease or types of dementia. If nutrition is a problem for the senior, the consultant will know where congregate meals are offered or how to secure meal delivery programs like Meals on Wheels. The consultant will know attorneys who specialize in legal matters that affect seniors, such as estate planning and conservatorship. Local senior centers, councils on aging, and other senior advocacy groups may provide consultants who can provide guidance to seniors and their families for little or no cost. Geriatric care coordinators may also be able to refer the senior to private consultants who provide services for a fee. Selecting a care consultant is an important and time-consuming task; however, the right person can ease many of a senior's worries and alleviate many family concerns. In addition to having extensive knowledge about resources, policies and laws that affect seniors in a local area, a geriatric consultant should be honest, trustworthy, and reliable. His or her focus should be on the senior's best interests. The programs and referrals the consultant designs for a senior should take advantage of the best resources available within a community.